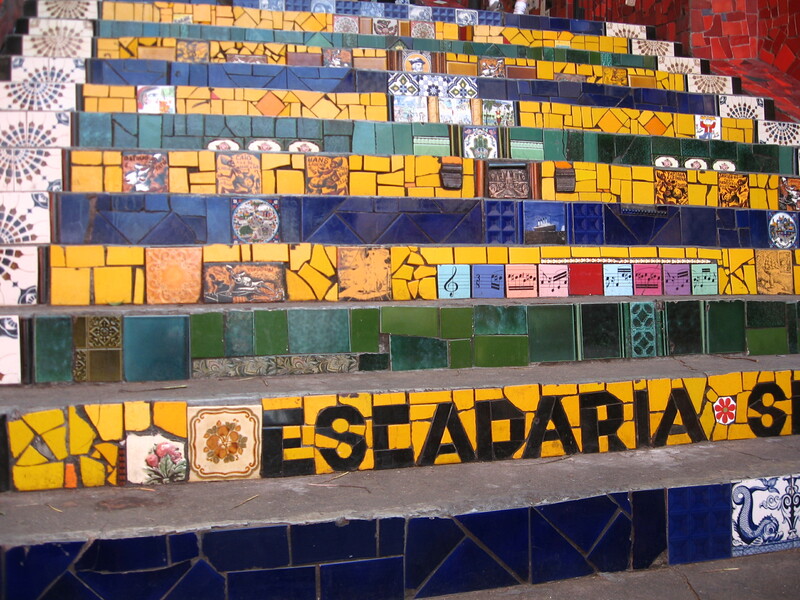 The Escadaria Selarón was created by Chilean artist Jorge Selarón as a tribute to the city and the people of Rio; however, for me, there is something macabre about the tiled steps that I just can’t shake. I have to tell myself that this vibrant piece of art was built to create joy in a city that can be at once destitute and rich with life, and I can’t imagine that Selarón himself would want such a labor of love to be associated with death and violence. Unfortunately, once you have seen the pictures in the news of the artist’s lifeless body under a polka-dotted sheet surrounded by armed guards on the very tiles that he laboriously cobbled together piece by piece, it can be difficult not to think about. Like a broken heart, the beauty of the sentiment of the steps, while still intact, will have this scar, never to completely heal. Even this jarring image may capture something of the essence of the city, the juxtaposition of creativity and the pure of heart with the reality of the violence and corruption that exists here. Jorge Selarón was an eccentric, larger-than-life personality, easily recognizable by his impressive handlebar mustache and joie de vivre. Before his death in 2013, Selarón could been seen at work daily on the stairway, literally right outside of the doorstep to his home, happy to take photos and speak with tourists who made the pilgrimage to the famous passageway between the neighborhoods of Lapa and Santa Teresa. His notoriety came with the construction of the Escadaria; however, Selarón was an artist of many talents, affording his livelihood primarily from his paintings before the charity he garnered with the success of the steps. Selarón’s paintings include the image of a pregnant African woman, often appearing as a self-portrait of himself with a pregnant belly, which originated from “a personal problem from his past,” he has explained. 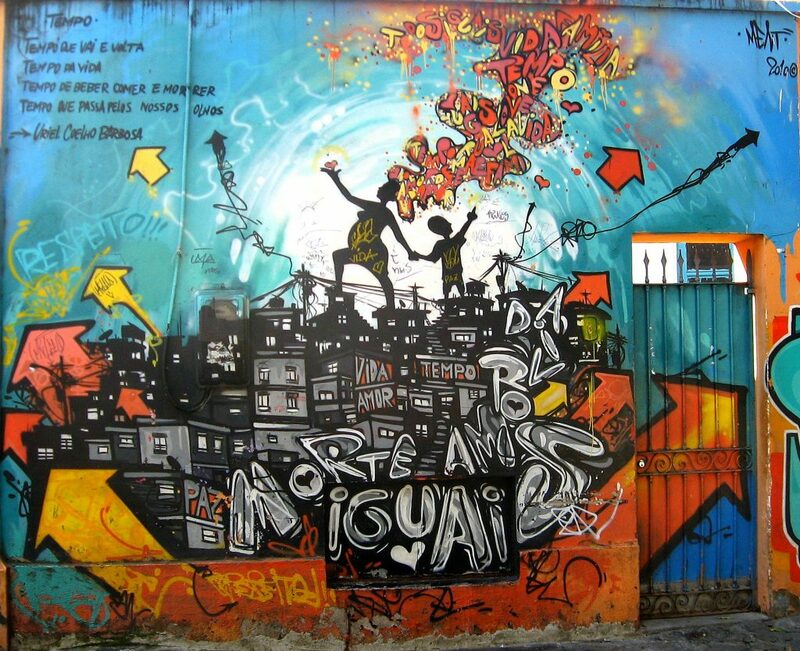 Wander around Lapa for long enough, and you will find Selarón’s own graffiti with the same depictions from his paintings. The creation of the steps began in 1990 at the doorway of Selarón’s apartment with scraps of tiles and mirrors that the artist found cast aside and thrown away. 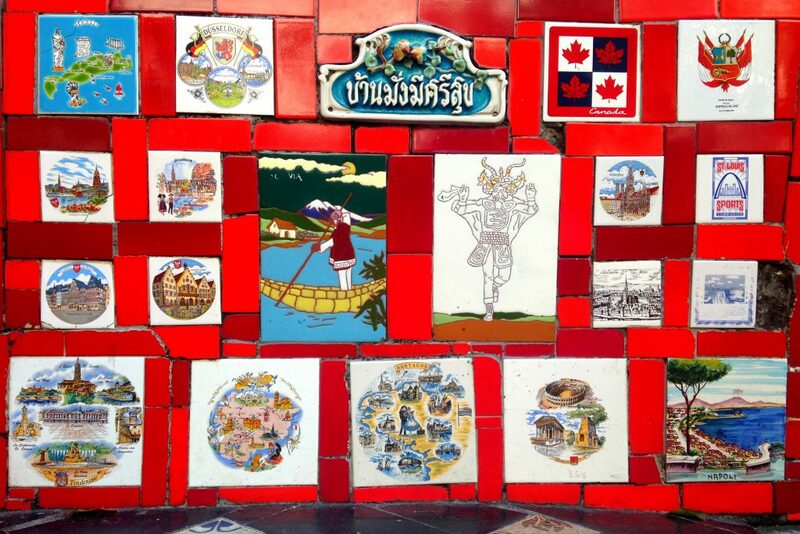 He would replace older tiles as he went, his intention to have a constantly changing, living work of art, for which he explained that “this crazy and unique dream will only end on the day of my death.” As the stairway became a sight to behold, drawing tourists from around the world, Selarón received tiles depicting countries, provinces, cities, and states from all corners of the earth from people his project touched along the way. His tribute to Rio was metamorphosing into something more global. The time and care that Selarón put into the neighborhood and how it changed as a result of his efforts did not go unnoticed among the local people. His work brought much needed tourism and money to an area that felt that he cared about them more than their government did, and they were very proud of his accomplishments. 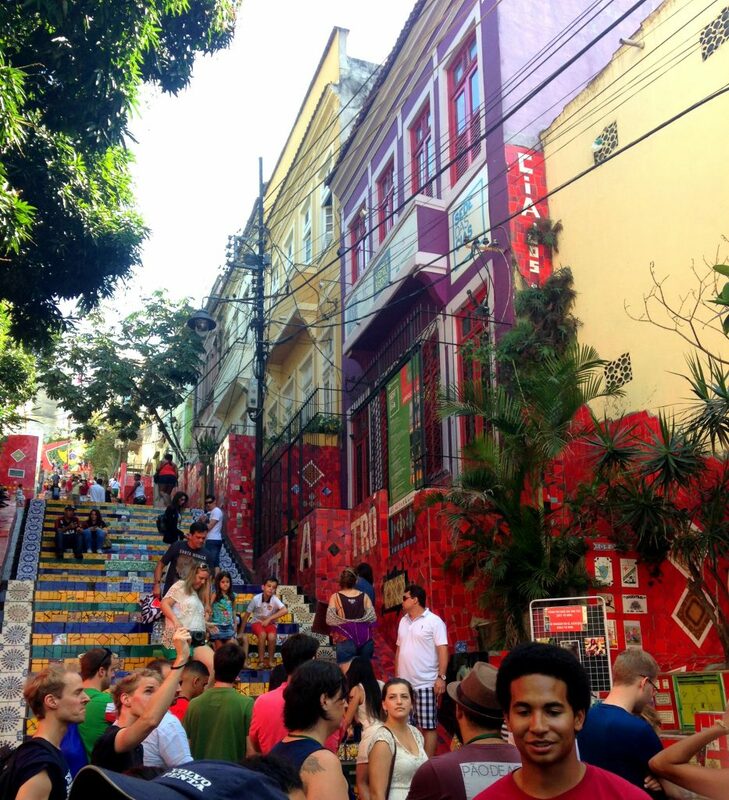 The Escadaria Selarón drew not only tourists but artists, entertainers, and businesses who wanted to feature this unique piece with over 2,000 tiles in music videos, commercials, and most importantly the video for the 2016 Olympic bid, for which Selarón’s contributions were seen as instrumental to Brazil’s success in obtaining the Olympic Games next year. Unfortunately, Selarón was gone before the World Cup or Olympic Games were realized. There are two versions of Selarón’s untimely demise that you will hear in Rio. Some say that Selarón was murdered by a local boy, that he had been receiving threats before his death, and that the police covered up the murder. Others say that he became depressed from receiving these threats and that led him to commit suicide, an explanation that is more consistent with the official police report, which indicated that Selarón had set himself on fire with an accelerant later found in his apartment. Regardless of what happened, there is something missing here, that much is evident, and it is even more tragic given the circumstances.